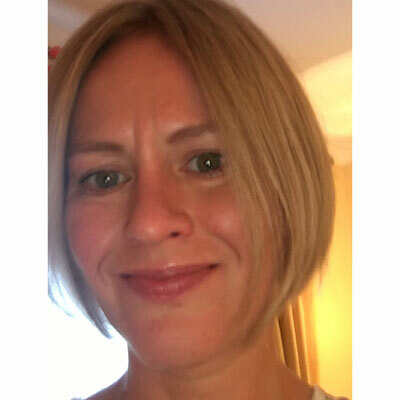 Olivia Donnell comes to StorageCraft with 17 years of channel experience. As European Business Development Director - Sales, Olivia drives business growth for StorageCraft's portfolio of data protection and storage solutions via the channel. Before StorageCraft, Olivia worked for Dell Software where she first drove incremental sales at Sonicwall through Dell channels. Later she designed and ran the EMEA channel strategy for Dell data protection. Prior to Dell, Olivia worked at Tech Data for 12 years, moving up through the ranks from internal account manager to field sales, corporate sales manager (managing 17 people), and then onto the enterprise division. She was Tech Data's most successful enterprise account director at the time before finally moving to the international sales team. Olivia describes herself as having "tripped accidentally" into the UK channel when she decided a career in law was not for her. She left law school and took a job at what was then the largest VAR in the UK, Action Computers. Originally from Londonderry in Northern Ireland, she moved to London at 18 to study for an LLB Law degree at the University of West London. I have had StorageCraft accepted into the portfolio of, issued, and closed contracts with nine new distributors. These new relationships give us coverage in over 30 new countries in the EMEA region. I have also re-engaged and re-established relapsed relationships with distributors in four countries. At the same time, I have been part of the wider team that is establishing our new channel program and reshaping our channel collateral with a heavy focus on partner education and sales enablement. I am currently focused on launching a storage product we recently acquired into the EMEA market and as part of this launch, I secured our inclusion in the portfolio of Europe's largest storage distributor. At the start of 2018, I also took responsibility for our inside sales team in EMEA to further focus on channel growth. We will continue to help our partners 1) tap into the rich revenue streams available to them when they sell disaster recovery as a service (DRaaS) and 2) focus on selling total data management solutions to their customers rather than just backup. Partners constantly tell us they really value our approach to helping them sell and market as opposed to just fitting them in buckets in programs. Many people, I feel, forget that partners sell; they don't buy. And we try to ensure we enable the selling process. UK Prime Minister Theresa May. She has to do what no one before her has ever done, and that is to lead a country out of the European Union. She has to run politics at a domestic level and re-establish devolved politics in Northern Ireland, and do all this while a large gaggle of men try to oust her just so they can have the job, but not because they could actually get it done any better. Her recent quote, "I am not a quitter," is a motto of my own. No matter how hard the job, get it done. What is for you will never pass you; don't feel you have to decide now what job you will do for the rest of your life! Continue gaining proficiency and becoming more technically skilled in our products. As a salesperson, the more you understand about what you sell, the more credibility you have with your team and customers. "Birdsong: A Novel of Love and War" by Sebastian Faulks because the book stayed with me, and is still with me, long after I finished reading it. Two of my great uncles died in "the war to end all wars" - though of course, it sadly didn't - and I felt I had somehow gotten to know them and of their experiences through this book.